at the Olympics became the man to hate after he shot his girl friend. can fall from grace so easily. 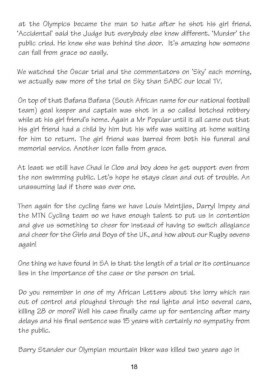 we actually saw more of the trial on Sky than SABC our local TV. memorial service. Another icon falls from grace. unassuming lad if there was ever one. lies in the importance of the case or the person on trial.